to create a logo for a medical product. Oxysulphan Blue Sodium Salt is a new medical product developed by Russian scientists and designed for use in oncology. It is a dye that is injected into lymph nodes that allows to better visualize damaged tissue during surgeries. 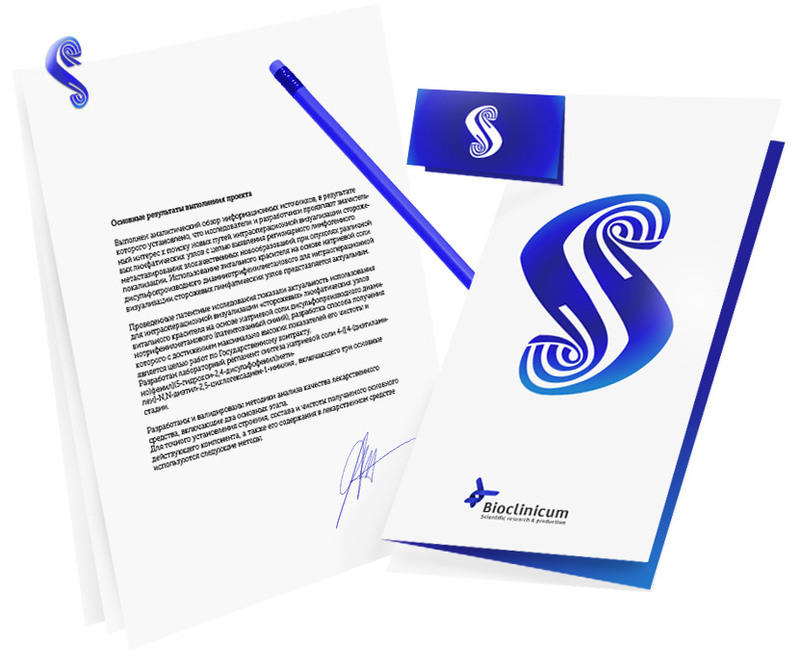 A bright blue logo for the product was created at the studio. The logo is in the shape of the letter S, the first letter of the words Sulphan and Sodium. The white curls on the blue background symbolize the process of gradual tissue staining.